Players that are selected will have the opportunity to train with our experienced staff during this four day event which combines daily training with competitive game play. Learn from the best coaches in the country at a great Southern California facility! Players who attend will receive additional Baseball Factory Program benefits. Your personal player web page will be updated with a written evaluation based on your performance at the California Select Training & Competition. Share your player web page with family and friends! How do you get invited to this event? Take the first step and attend a tryout. *Please Note: Itinerary & Rosters posted are from 2018 event. Information on 2019 event will be posted soon. 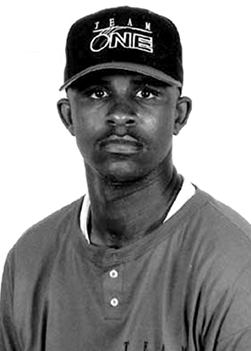 Chad Addison: Played his college baseball at UC San Diego from 1999-2002, before starting his coaching career. As an assistant coach at UCSD from 2003-2008, he was the Associate Head Coach and Recruiting Coordinator. Coach Addison also coached with the Brewster Whitecaps of the prestigious Cape Cod Summer league in 2006. Coach Addison has worked with the Baseball Factory since 2008, and has been the Athletic Director at Capistrano Valley HS since 2012. Jon Chastine: Jon has been with the Factory since 2013. He helps with regional tryouts, player development events, and with our Under Armour National Tournament Division. He played college baseball at Cal Baptist University in Riverside, CA. He served at Bethesda University as an infield coach for 2 years, and is currently the head coach at Vista Del Lago High School. Nolan Fuller: Nolan is the Senior Director of Baseball Player Development Events with Baseball Factory and a graduate of the University of South Carolina Beaufort, where he played and coached under the tutelage of current Pittsburgh Pirates Third Base Coach, Rick Sofield. In 2012, Fuller helped the Sand Sharks make their first NAIA World Series appearance – where they finished ranked 7th in the Nation. In his four years at USCB, the Sand Sharks compiled a record of 142-75. Nolan is also a Baseball Factory Alum, competing in events during High School. Javier Ochoa: Javi has returned to Chino High School as an assistant coach, in Chino, California. Early in his coaching career, Javi spent two years at Chino HS before moving on to Diamond Bar High School, and Mount San Antonio College – where he served as the catching coach in Walnut, CA. In his playing days, Javi was a participant at the Team One West Showcase in 2005. He played collegiate baseball at Azusa Pacific University. He has been working with Baseball Factory since 2010. Want to join us for California Select Training & Competition? Contact us now for more information.